The new series premieres in April. If you’re a fan of Netflix’s beautifully-shot food-focused series Chef’s Table, we’ve got great news—its production company, Supper Club, has another show on the horizon, and it’s set to debut this spring. However, instead of featuring chefs like Massimo Bottura (of Osteria Francescana and World’s 50 Best Restaurants Fame), Dominique Crenn (of Atelier Crenn), and Nancy Silverton (Osteria Mozza, Pizzeria Mozza, etc. ), this show heads outside the traditional restaurant kitchen to focus on street food, reports Grub Street. Appropriately dubbed Street Food, viewers will find themselves on a journey all around the world to check out local specialties. Brian McGinn, a director and producer for Chef’s Table, as well as Street Food’s co-creator, tweeted that the show will debut on Netflix on April 26. There’s no trailer yet, but, considering the premiere date is just over a month away, it’s bound to release soon—so keep an eye out. As for where viewers will be headed during season one? Asia, according to McGinn—nine countries total, including Singapore and its famed hawker centers, and food carts in India. (If you make it to a Singaporean hawker center yourself, make sure you try chili crab and Hainanese chicken rice). 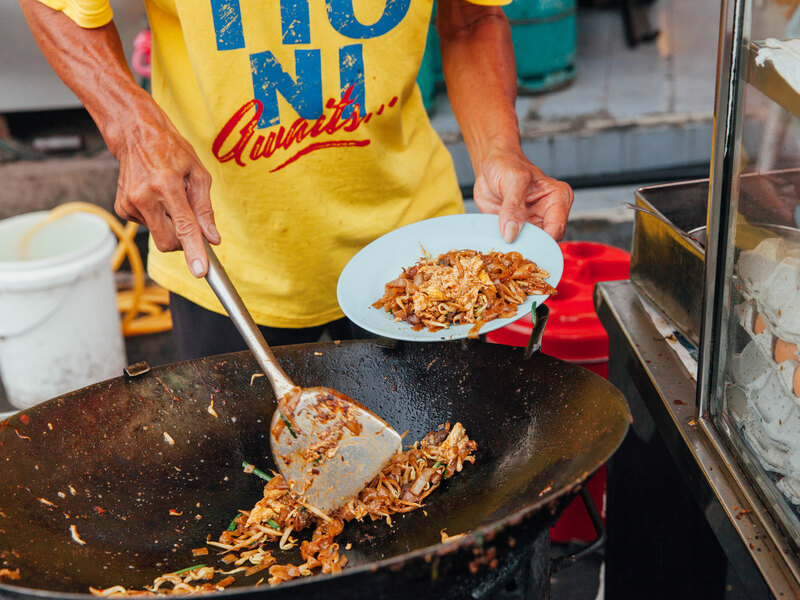 “Street Food takes viewers to some of the world’s most vibrant cities to explore the rich culture of street food all over the globe,” McGinn tweeted. If you’re looking to add more cooking and food-centric shows to your watchlist, check out our guide of releases that debuted last month. There’s volume six of Chef’s Table, which features London-based chef and author Asma Khan (of Darjeeling Express), chef Sean Brock (who has a massive Nashville restaurant complex on the horizon), and master butcher Dario Cecchini, who recently debuted his first restaurant outside Italy in the Bahamas (you can read more about it here). You can also check out season two of The Big Family Cooking Showdown, judged by Angellica Bell (2017 Celebrity MasterChef winner) and British chef Tommy Banks. Or, just hit up mainstays in the meantime: The Great British Baking Show and your couch are calling.